Each one of us is unique with our own story to tell. As North America's largest provider of funeral, cremation and cemetery services, Dignity Memorial® professionals excel at helping families create meaningful tributes that truly celebrate the lives of the individuals they represent. With an extensive network of more than 2,000 locations throughout the U.S., Canada and Puerto Rico, Dignity Memorial providers offer families personalized services and advanced-planning options to meet any need. From the simple to the extraordinary, your Dignity Memorial professionals are here to see that your special story is told.. 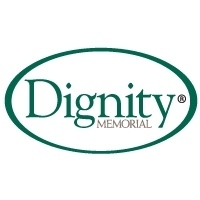 Dignity Memorial® professionals are committed to providing a superior customer experience. In addition to celebrating each life with highly personalized send-offs,there are many unique benefits and services that only your Dignity Memorial providers can offer. *Subject to terms and conditions,including that the child or grandchild must be under the age of 21 and unmarried. Not available in MD. **Program services offered by Medical Air Services Association,Inc. and its affiliates. Not available in KY,NY and SC.